OSHA defines a near miss as an “unplanned event that did not result in injury, illness or damage but had the potential to do so.” While near misses cause no immediate harm they often precede events in which a loss or injury is likely to occur. 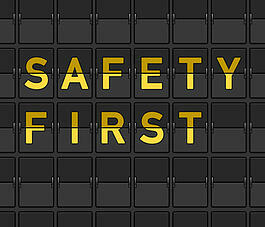 Because a near miss is often a leading indicator to an accident employers who encourage near miss reporting gain opportunities to prevent future incidents from occurring in their facilities. Collecting near miss reports builds upon a culture that seeks to identify and control hazards; striving to reduce risks and the potential of harm in the work environment. The goal of a near miss program is to learn from the lesson at the near miss level, implement appropriate controls and share these amongst various company projects to prevent similar incidents from happening. Employee participation is vital for any near miss program since for the most part it is employees themselves who witness and are a part of the events that constitute near misses. Communication —The importance of the program must be well communicated to employees and the goal of the program must be clarified with the assurance that any information reported will be used to learn and improve from and not for punishment. Ease of Use—It is important to not overcomplicate the process for reporting near misses with too many forms or a designated area employees must go to file near miss reports as such processes will likely not be used as often. Action—Employers should provide feedback regarding actions taken in response to reported near misses.